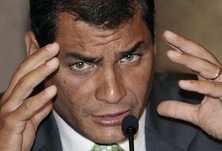 In August 2013, President Rafael Correa announced that the world had “failed us” for not giving Ecuador enough money to save Yasuní-ITT. 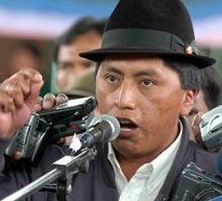 When the deal went sour social, indigenous, and environmental organizations responded by launching a campaign to gather 600,000 signatures in six months, as stipulated by Ecuador’s constitution, to push for a National Referendum and to let Ecuadorians decide the fate of Yasuní-ITT. In the latest twist in a 21-year-old environmental pollution case, a U.S. federal judge Tuesday ruled that the victims of massive oil spillage and their U.S. attorney could not collect on a nine-billion-dollar judgement by Ecuador’s supreme court against the Chevron Corporation. After seven consecutive electoral victories in seven years, Ecuador’s progressive president Rafael Correa suffered an unexpected reversal of fortunes in the country’s local elections on February 23. This defeat for the ruling Alianza Pai?s (AP) came only a year after Correa trounced the conservative opposition in the 2013 presidential and legislative elections. Lawfare: Ecuador’s New Style of Governance? Ecuador has achieved what most Latin American societies have been dreaming of for decades: a stable leftist government. Yet things did not turn out the way social movements had imagined them. In particular, the list of people accused of terrorism expands each day and things are about to worsen significantly. The government of Ecuadorian President Rafeal Correa sent the national mining company, ENAMI, into the Intag region last month in order to begin work necessary for a legally required environmental impact study for the proposed large-scale, open-pit copper mine near the agrarian community of Junín. Community members successfully prevented ENAMI from entering their community by using an age-old peasant community tactic, the road blockade. UNESCO designated the Yasuní National Park as a world biosphere reserve in 1989 because it contains 100,000 species of animals, many which are not found anywhere else in the world. Each hectare of the forest reportedly contains more tree species than in all of North America. Not drilling in the pristine rainforest would both protect its rich mix of wildlife and plant life and help halt climate change by preventing the release of more than 400 million tons of carbon dioxide into the atmosphere. 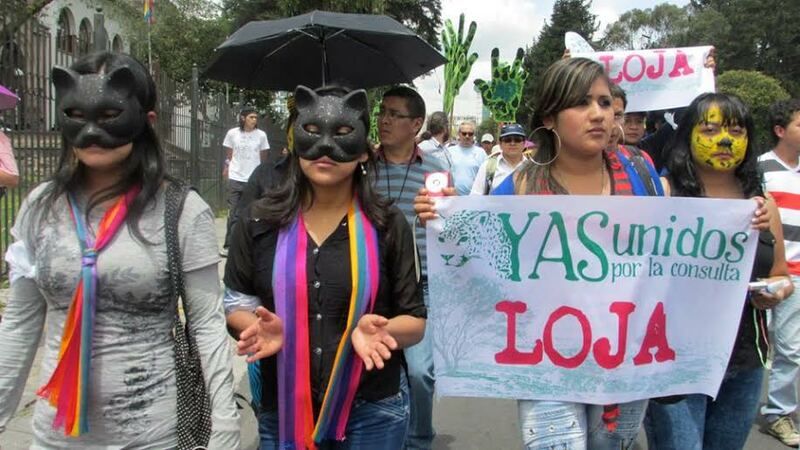 The Ecuadorean government’s decision to allow oil drilling in the Yasuní National Park, one of the most biodiverse areas of the planet, has caused alarm among environmentalists and indigenous people, who are calling for a referendum on the issue. President Rafael Correa ordered the shelving of the Yasuní-ITT Initiative, a plan to leave oil reserves underground in the Amazon rainforest park in return for international compensation. Ecuador’s Indigenous movement leader recognizes that there are internal differences in the organization, but they will never join with the political right. If the mining companies think that the neoliberalization of Ecuador’s mining law will make their work easier, they should think again.? Since the communities affected by mining development – especially the indigenous sector – see the reforms as unconstitutional and openly pro-industry, the effect on the ground will be to reignite the anti-mining movement. The Constitution of Ecuador adopted in 2008 establishes a broad range of rights for indigenous peoples and nationalities, including the right to prior consultation, which gives them the opportunity to influence decisions that affect their lives. But this right has yet to be fully translated into legislation, as the bill for a Law on Consultation with Indigenous Communities, Peoples and Nationalities is still being studied by the National Assembly.